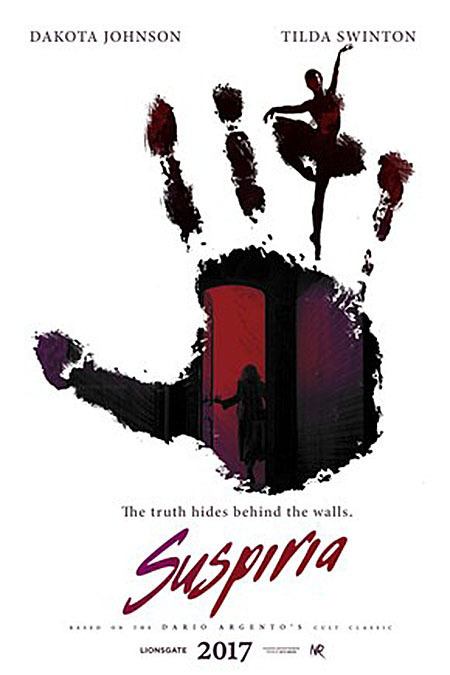 Cult classic horror film Suspiria returns with a star studded cast after 40 years! Will accomplished ballet dancer Susie survive against the dark powers lingering the hallways of her school? American ballerina Susie arrives at a prestigious dance Academy in Berlin right when a student named Patricia disappears mysteriously. Classes continue under the watchful eye of the academy’s art director, Madam Blanc. Following bloody murders that take place at the Academy one after another, it doesn’t take long for Susie to realize that a dark secret is behind these. But how could Susie ever know that the answer to this secret is supernatural? Will Susie make it out alive? The star of the cult 1977 Suspiria Jessica Harper will have a cameo in the film by rising Italian director Luca Guadagnino.